Contact Us for a FREE Assessment! Hello. We are Andrea and Ralu, of Mathnasium of North Vancouver, your neighbourhood math-only learning centre. We help kids in grades Grade 2-12 understand math by teaching the way that makes sense to them. We are located in the heart of North Vancouver on Lonsdale Ave. one block down from London Drugs. Call us today at 604-900-5511 for a FREE Initial Assessment and to see what we can do for your child! Great place for learning. Helps kids to develop a strong fundamentals in math. Thanks team. They work with my child to develop a program that suits him..in collaboration with parents and teachers. Great program for kids, friendly and knowledgable staff. Very pleased with results so far - hoping for continued success. This survey comes just before an important test, would have liked to be able to factor those results in. But very happy so far. Having mathnasium takes the stress off parents with kids who need help, and relief for the kids having a place to go for help. Thank you. Great program, my daughter loves it! My son's math has improved significantly since attending Mathnasium. And the coordinator has been so helpful in following along with my son's school curriculum so that the work he is doing at Mathnasium directly correlates to the work at school. Our daughter, Sydney, was doing so poorly in school, she was frustrated and so were we. Doing homework with her wasn't any better and would usually end up in both her and us yelling at eachother. Then we heard about Mathnasium from a few people and it's changed everything. Sydney actually enjoys doing math now and is feeling more confident, and it's only been 1 month! Everyone is very friendly and approachable. Lots of patience with the kids!! Helping my daughter tremendously with conquering Math 10! Mathnasium has significantly iimproved our son's ability and confidence in math. Thank you! We take our kid to all extended classes but after few weeks he quite but he goes to this math class for more than a year. We are pleased so far with Kaylen's experience and are trying to convince his broher to try it. So far so good. Matthew is enjoying himself! 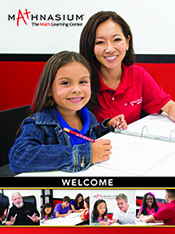 Mathnasium is just what our daughter needed to help boost her confidence in math at school. My son loves coming and never thinks twice about going. My daughter is really engaged with the instructors and the program. She has increased significantly her love for math and see math as a fun and important subject to learn. My daughter loves it. The teachers are great and so helpful. I have already shared our experience with 3 other families, one is already booked for an assessment. My boys (ages 7 & 8) really enjoy going to Mathnasium. Everyone is friendly and personable. Both of my boys seem to feel more confident in math— it has definitely been worth the investment.